Emily Reid loves to paint colorful, patterned animals. Her work is fantastically whimsical and would look great in any home. This popular Reno artist is currently exhibiting her paintings at BVW Jewelers. Emily teaches art at Brookfield School and lives on a two-acre farm with about 30 animals. 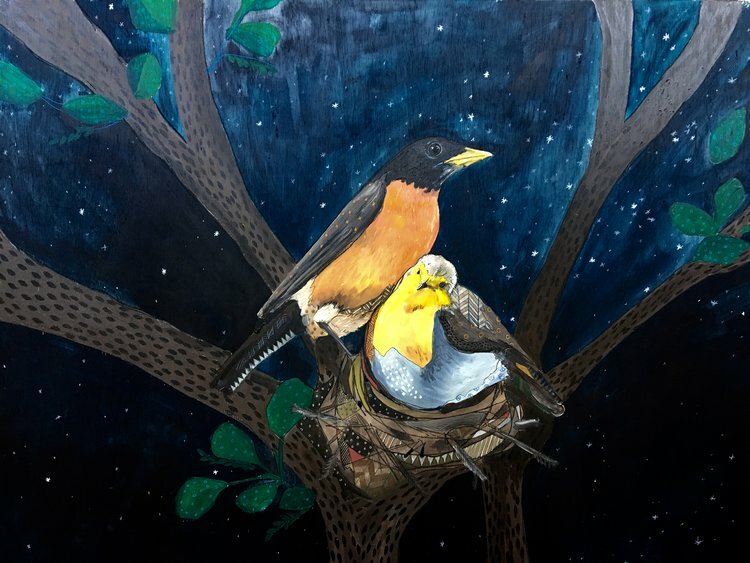 “Animals of all kinds inspire my work — and my artwork sales help support the life of many castaway creatures that live on my farm…and on our planet!” Reid says.